Teaching outfield fielding is much more complicated than simply learning how to camp under a lazily floating fly ball, which actually requires a vast amount of skill to succeed at that task. It’s the coach’s job to teach his players how to catch fly balls and since there is no substitution for experience, that involves hitting hundreds of fly balls, and if a coach doesn’t grow to despise seeing a fungo bat, he’s not hitting near enough fly balls to his outfielders. A fungo bat is specially designed to hit fly balls with a minimum amount of strength, the ball will jump off the bat and it is very forgiving of “non-perfectly” hit balls. Because the ball comes off the bat quickly, it is also quite excellent for hitting infield grounders, but most “Non-Pro” coaches use it for mainly hitting fly balls. Step (1.) 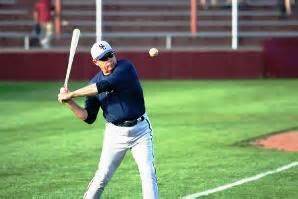 Begin by hitting fly balls, more or less directly at your fielders and high, no line drives unless it‘s a mistake. This trains the player to immediately pick up the ball as it comes off the bat, which is imperative, and the height of the ball allows him time to adjust and prepare to catch it. Many, if not fungo bats are made of wood, which the players will eventually learn the different resonating sound the bat makes as the ball comes off it, will indicate how far the ball will travel. Although this is excellent training, and required learning for professional baseball, it can be a detriment to today’s player because nearly 100% of the bats used in little league play are composed of several composite elements. Because of the bat’s make-up, which disguises the sound, everything is a ping, and the very forgiving nature of a poorly hit ball, you will need to switch back and forth between using a fungo bat to a composite bat in order to give the outfielders their best training. In this session begin hitting fly balls more or less at them, that is you don’t want them to run hard left or right to field a ball on the run, not yet anyway, but concentrate on varying the height and mainly the distance you hit the ball. This trains the player to instinctively, or a quickly as possible, know if he must charge in on the ball because it wasn‘t hit solidly, or turn and run back because the ball was hit over his head. 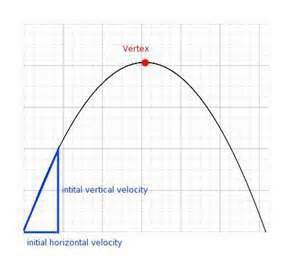 The addition of varying how high a ball is hit helps train the player to anticipate the ARC of the ball, which determines the distance the ball will travel. While performing this lesson inform your fielders to always be aware of the prevailing weather conditions they are playing in and how it can affect the baseball, which in turn affects how they try to catch it. A ball may be hit well enough to travel 250 feet, but if it gets help from a strong wind blowing out, the arc will be maintained longer, meaning the ball will travel farther than 250 feet. The opposite is true if the ball encounters a strong headwind which will hold the ball up, reducing the energy and the arc of the ball which reduces distance of travel. The same can be said about humidity, a hot humid day will restrict ball travel, while a hot dry day increases distance. Knowing this little trick and noticing the conditions at every inning, they can change, helps the fielder to go to the anticipated spot the ball will fall well before the ball arrives. It should go without saying Communication between teammates in any and all sports are extremely important, but besides being pivotal in effectively playing the game, it’s crucial to Player Safety. 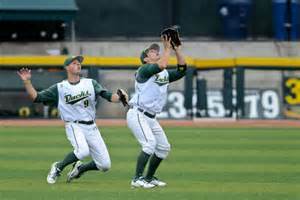 A. Outfielders are responsible for covering a lot of territory and once the ball leaves the bat, for the most part, the fielders’ eyes are … Glued to the Ball, especially if they’re required to run a long in order to attempt the catch. With their vision solely occupied on following the target, the secondary sense of Hearing assumes the job of making the player aware of his general surroundings, although the player may not realize it until it comes into play. Therefore, no different than a Quarterback barking out plays and directions to his team mates, baseball players, especially outfielders, must utilize their voice in order to instruct his team mates. Players are aware the situations which could result in colliding with a team mate also attempting to catch the ball and also know, or should, there is a standard protocol of who takes priority in catching the ball when between 2 or more players. I can’t stress it enough … It’s imperative players call for the ball Loudly and Repetitively !! Some Coaches teach 2 phrases … “ I’ve Got it ” or “ You Take It ” or something similar. I personally did not, and do not suggest, perhaps because I was trained differently in the minors, teach the 2 phrase approach. I felt two fielders, in a “life or death” mission, (a little melodramatic) had enough to concentrate on without forcing the brain to decipher another message, whether to continue to the ball or tail off and back the play up, and am I sure I heard what I thought I heard. Too much unnecessary garbage. When the player hears his teammate yelling, he will automatically convert to a back up mode because he concedes the other player will catch the ball, although as you’ll see later, that’s not always true depending on the situation. Timing is also a key element to Communication as the human mind and body can only react so quickly, an order heard or called too late could have undesired results. For instance, a fly ball hit into right-center field will be pursued by the center-fielder and the right-fielder who will be running at full speed to reach the ball. (1.) 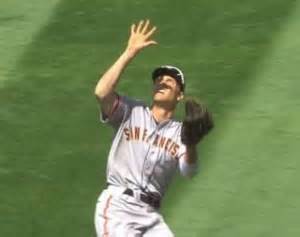 Obviously it’s important to make a call as soon as possible, but the fielder can not call for the ball until he is positive he can make the catch. Calling for the ball, which also calls off your team mate, then realizing he can’t catch it, besides being embarrassing, will have runners rounding the bases like on a merry-go-round. (2.) However, on the other hand, a fielder can not wait too long before calling for it. Remember, the two fielders are running towards one another at full speed concentrating on the ball and, because they’ve been well coached, listening to see if his team mate will call him off, loudly and repetitively. A “I’ve Got It!” once the players are too close to effectively alter their course can end up in an unfortunate collision, which allowing an inside the park home run is nothing compared to the high risk of injury from such a collision. First impression of “Communication Skills” may leave you shaking your head, thinking I can’t win. I either call it too late or too soon. Don’t be concerned as with everything else in baseball it’s a learning and building process. As you practice you’ll learn your abilities and your team mates’ abilities, which will allow you to make a good educated guess of whether your team mate, or you, are fast enough to catch up with hard hit ball. It’ll be automatic and you rarely realize what and how quickly you analyzed the situation. Most would agree, Ideal conditions for baseball is a warm sunny day, with a slight breeze to keep you cool. However, that Sun which creates these ideal conditions can quickly turn into a nightmare if you looking into it and trying to see a baseball. (1.) When the sun is on your glove hand side and is giving you a problem through your peripheral vision, or if you’re more or less staring into it, use your glove to block the sun. This can be done two different ways, depending on the exact positioning of the sun and your particular glare problem. (a.) Hold your glove up and out with the inside (pocket side) of your glove facing the sun, which will offer the broadest area of protection. (b.) Watch the ball until it either clears the sun, moving the glove to catch the ball, or watch the ball all the way into the glove if the sun is that blinding. Always try and use two hands to catch the ball, as you’re having enough trouble dealing with sun glare, you don’t need to be trying to balance a sno-cone, which can easily pop out of the glove. (c.) To address the situation of the ball nearly coming straight out of the sun, it may be possible, depending on the make of the glove, to actually peer through the webbing of the pocket, blocking, at least partially, the sun yet still being able to see the ball. You don’t always need to totally block the sun out, just enough so your eyes can track the ball. (2.) There will be times a line drive or low fly ball is so engulfed by the sun, there’s no blocking the sun out. When this occurs quickly turn sideways and reposition until you move out of the direct blindness of the sun. By doing this you are no longer looking directly into the sun, but across and out in front of the sun’s glare. (3.) 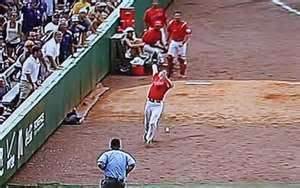 If you’re playing a sun field and a fly ball is hit in your direction, immediately raise your throwing hand (bare hand) out and up into the air directly in front of the sun. By keeping your hand between the sun and your eyes, you will block the sun’s glare and allow you to track the ball. If need be, keep your hand up and catch the ball with one hand. In spite of the two handed catch rule… there’s always exceptions to the rule and this is one of them. If all else fails and you can not find the ball, immediately look to another fielder who will be pointing at the ball. You may or may not be able to catch it, but you’ll know where to go to limit the damage and hold the hitter to a single or double. Plus, it doesn’t hurt to not get bonked in the head.